Please have a look at the pools swimmers like you have reported near Vancouver. Please, report any Vancouver Pool not listed here. Going to a Vancouver Pool is increasing particularly within the elderly population sectors of Vancouver, who've suffered some type of muscle or bone damage. Please use the get in touch with information provided at each pool profile to check if they're offering aquagym lessons, due to the fact is not so typical to find out an Aquagym in Vancouver. Before trying any pool, make sure you know the rules and regulations for varieties of Vancouver Swimming Pool as they may not be exactly the same as in your house town. We advise you contact the pool directly to ask should you will need a hat, and what style of footwear or specific clothing you will need. 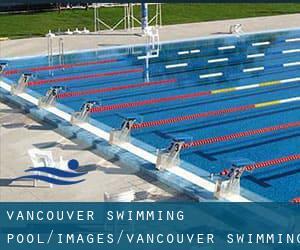 Most from the varieties of Vancouver Swimming Pool offer you both open lanes for independent swimming and also guided activities like water aerobics or Aquabike. We most likely don't know all the Pools in Vancouver. Are you missing any? Contact us!. Updated on 2019 1128 Hastings Street W , Downtown , Vancouver , BC , CANADA (Postal Code: V6B 4R5). Among all the activities offered by the centre, if you're considering swimming you can expect to delight in 52 feet, Indoors. Just in case you want to get in touch with this Swimming Pool before dropping by, we only know the phone number. Updated on 2019 2929 East 22nd Ave. , Renfrew-Collingwood , Vancouver , BC , CANADA (Postal Code: V5M 2Y3). Swimmers like you reported 25 meters x 15 meters, Indoors. Unfortunately we do not have the email address of this Swimming Pool, but we can give you the phone number. Updated on 2019 6121 University Blvd. , University of British Columbia , Vancouver , BC , CANADA (Postal Code: V6T 1Z1). Among all of the activities offered by the centre, if you're thinking about swimming you may appreciate Olympic size x 25 meters, fast/slow/medium speed lanes, Indoors. If you will need to get in touch with this Swimming Pool, email address and phone number are both number. Updated on 2019 4575 Clancy Loranger Way , Little Mountain , Vancouver , BC , CANADA (Postal Code: V5Y 2Z5). Among all the activities supplied by the centre, for anyone who is interested in swimming you'll appreciate Olympic size x 16.8 meters, 8 lanes, 1.5 meters - 3.8 meters depth, 1.5 meters - 3.8 meters depth, Indoors. Just in case you would like to make contact with this Pool prior to dropping by, we only know the phone number. Updated on 2019 1050 Beach Ave. , Downtown , Vancouver , BC , CANADA (Postal Code: V6E 1T7). Swimmers like you reported Olympic size x 20 meters, Indoors. Unfortunately we do not have the e-mail address of this Swimming Pool, but we can provide you with the phone number. 2001 Nanton Avenue , Quilchena , Vancouver , BC , CANADA (Postal Code: V6J 4A1). Swimmers like you reported 25 meters, 6 lanes, Indoors. Unfortunately we do not have the email address of this Pool, but we can give you the phone number. Updated on 2019 3990 West 14th Ave. , West Point Grey , Vancouver , BC , CANADA (Postal Code: V6R 4H2). This sports centre gives 25 meters x 13 meters, Indoors. Contact facts for this Swimming Pool like phone number and e-mail address are number. Updated on 2019 1661 Napier St. , Grandview-Woodland , Vancouver , BC , CANADA (Postal Code: V5L 4X4). Among all the activities offered by the centre, if you are thinking about swimming you will get pleasure from 25 meters x 12.5 meters, Indoors. If you should contact this Pool, email address and phone number are both number. Updated on 2019 6260 Killarney St. , Fraserview , Vancouver , BC , CANADA (Postal Code: V5S 2X6). This sports centre gives 25 meters, 6 lanes, Non-Chlorine Sanitized, Indoors. Contact details for this Pool like phone number and e-mail address are number. 4175 West 29th Ave. , Dunbar-Southlands , Vancouver , BC , CANADA (Postal Code: V6S 1V6). Among all of the activities supplied by the centre, for anybody who is keen on swimming you will appreciate 25 meters x 13 meters, 6 lanes, Salt Water, Non-Chlorine Sanitized, Indoors. Just in case you need to contact this Swimming Pool before dropping by, we only know the phone number. Updated on 2019 5851 West Boulevard , Kerrisdale , Vancouver , BC , CANADA (Postal Code: V6M 3W9). Among all the activities offered by the centre, in case you are thinking about swimming you'll take pleasure in 30.3 meters x 12.7 meters, Indoors. Just in case you want to contact this Swimming Pool prior to dropping by, we only know the phone number. Updated on 2019 700 Templeton Drive , Grandview-Woodland , Vancouver , BC , CANADA (Postal Code: V5L 4N6). Swimmers like you reported 25 meters x 12 meters, 6 lanes, 1.1 meters - 3.3 meters depth, 1.1 meters - 3.3 meters depth, Indoors. Unfortunately we do not have the e-mail address of this Pool, but we can provide you with the phone number. Updated on 2019 535 Hornby St. , Downtown , Vancouver , BC , CANADA (Postal Code: V6C 2E8). This sports centre gives 25 meters x 15 meters, 3 double lanes, Indoors. For this Swimming Pool, only phone number is number here. Updated on 2019 837 West Hastings Street , Downtown , Vancouver , BC , CANADA (Postal Code: V6C 1B6). This sports centre offers 25 meters, 5 lanes, Non-Chlorine Sanitized, Indoors. Contact information for this Swimming Pool for example phone number and email address are number. Updated on 2019 900 West Georgia St. , Downtown , Vancouver , BC , CANADA (Postal Code: V6C 2W6). Among all of the activities provided by the centre, if you are interested in swimming you may enjoy 50 feet, Indoors. Just in case you want to get in touch with this Pool before dropping by, we only know the phone number. If you're tired of possessing eyes and irritated skin, choosing a saltwater pool in Vancouver is often the solution. You need to understand that the level of salt from these pools is nicely beneath the degree of salt from sea water, specifically they are talking about a tenth or much less. There are numerous reasons why you ought to choose a heated swimming pool in Vancouver. Probably the most crucial a single relies on the importance of keeping the body temperature stable. When the water is as well cold, your body will try to warm it up and you will lose strength to swim correctly. Enjoy the best indoor pools in Vancouver and don't worry about the weather. These facilities are open all seasons and you can enjoy a swim at the same temperature every day of the year. There are numerous alternative treatments to chlorination, with excellent benefits that make sure far better water quality within the pool. One possibility will be the mineralizer, which purifies water naturally and significantly decreases the chemicals utilized and maintenance time. 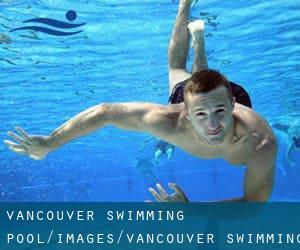 Try Chlorine Free pools in Vancouver. One of the advantages of outdoor swimming in Vancouver will be the possibility to sunbathe in the course of the summer time season. Taking it with added care, sunbathing is healthy because introduces Vitamin D into the body, so the ideal option seems to be switching amongst indoor and outdoor pools based on the season.